Colour, Rinse, Re-Pet! 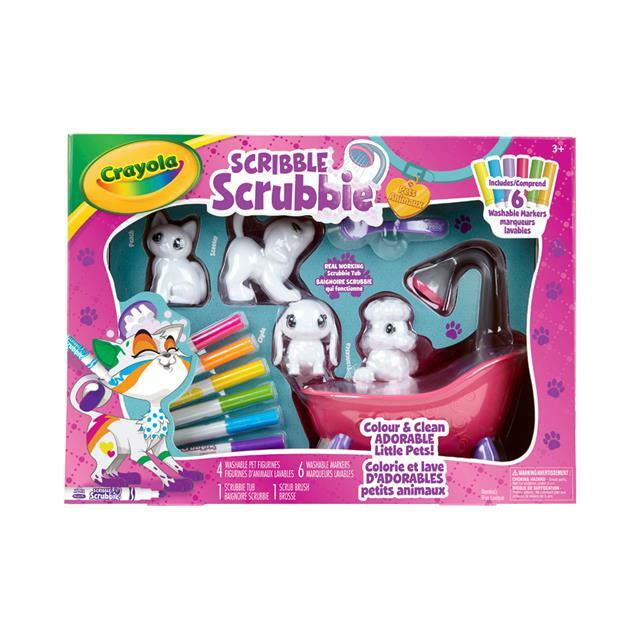 Crayola Scribble Scrubbie Pets are adorable, colourable and washable pet figures that little would-be groomers can customize again and again! Choose a pooch or get smitten with a kitten and colour with the 6 included Scribble Scrubbie�Washable Markers. And when you're ready for something new, pop 'em in the Scrub Tub to get cleaned up. Create new colourful coats as often as you like! There are 4 Scribble Scrubbie Pets inside.